LinkedIn is a social network with over 53 million users that enables you to make better use of your professional network. It is essentially for professionals who wish to create a network. Many businesses with time have established their presence on Linkedin, professionals in the field could contact you easier in order to establish new business relationships, while you could do some and contact high ranking officers in businesses directly, moreover it easier to recruit new staff through linkedin since people literally list their CV on the Social Media. Linkedin is a great tool specially because it targets the business community. 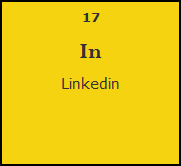 Through Linkedin you can create brand awareness, lead generation, use its online applications, place your business among your competitors, recruit staff or establish relationships with people in your industry. Linkedin is a powerful tool and MYP can establish the presence of your business on Linkedin so that you can start making the most out of it.